Through Rob Wiltbank’s ground-breaking study in 2007, angels in groups learned that collective due diligence on new deals really pays off. The 538 angels included in this study enjoyed 2.6X returns over the life of their investments. However, for deals on which collective due diligence totally less than 20 hours, returns were only 1.1X. But, deals on which angel put in over 40 hours of due diligence (the top quartile) returned 7.1X to angel investors. Due diligence clearly makes a big difference for angel investors. With this post I’d like to add some experience on what due diligence means for the angel group I’m a member of (the Willamette Angel Conference, in Oregon). I want to share what, when, and how we do it. I’m not suggesting that our way is the right way or better, but merely that it might be helpful to others. Our group links the investment to an annual event organized by the local chamber of commerce. That gives us some community benefits, like the awareness that angel investment is available and happens in our community. It also ties us to an annual schedule. We announce our investment event months in advance, we clarify its bias for Oregon startups, and we set a deadline for submissions. About 40 startups enter. We use gust.com to collect our entrants. The post their info. Our members join and get access to the site. We use the gust.com ratings platform, each of us individually, to rate the 40 companies based on the information they posted. In a first meeting we decide which of the 40 companies we want to contact for more information. Our members call and ask and organize what they get. In our second meeting a week later we share the information gathered from the companies we contacted, review the information posted, and decide on a select group to move forward into more serious due diligence. The target number is 12. The number can vary from year to year, depending on the quality of the submissions and other factors. We assign due diligence teams of 3 or more member investors. Over the following 5 weeks we invite the top 12 or so to our meetings, listen to pitches, ask questions, and meet with them offline, read business plans, talk to advisors and investors and customers if they have them. The due diligence teams report back to the group. We then name finalist companies — the target is five — and due another round of due diligence. They pitch again, we shuffle the teams, we read more, call more people, and look deeper. The teams report back to the group. The last day is an event, organized and hosted by local chambers of commerce, with an audience of several hundred people who pay to get in. The finalists pitch. We vote and select our investment. I hope you find these details helpful. I’ve left out dates and some details on purpose. 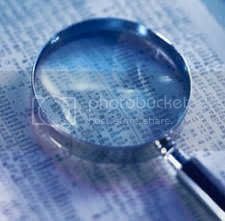 We do keep all due diligence and deliberations strictly confidential, but the process itself is not.